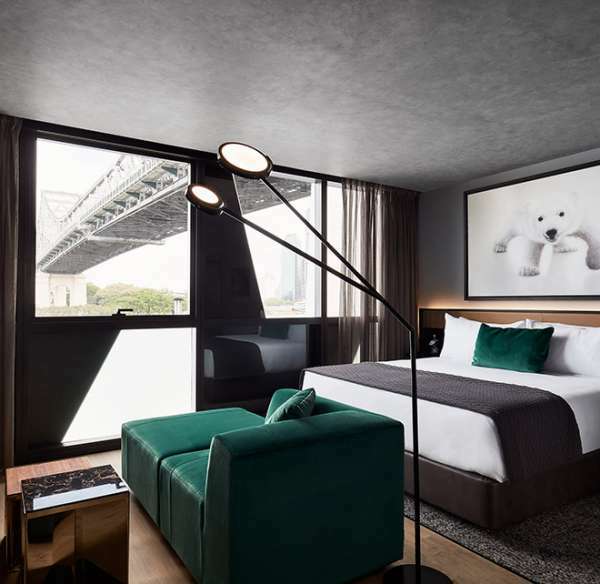 Carved into the cliff under Story Bridge, with an impressive presence, overlooking the new Howard Smith Wharves prescient, The Fantauzzo takes inspiration from acclaimed Australian painter Vincent Fantauzzo. 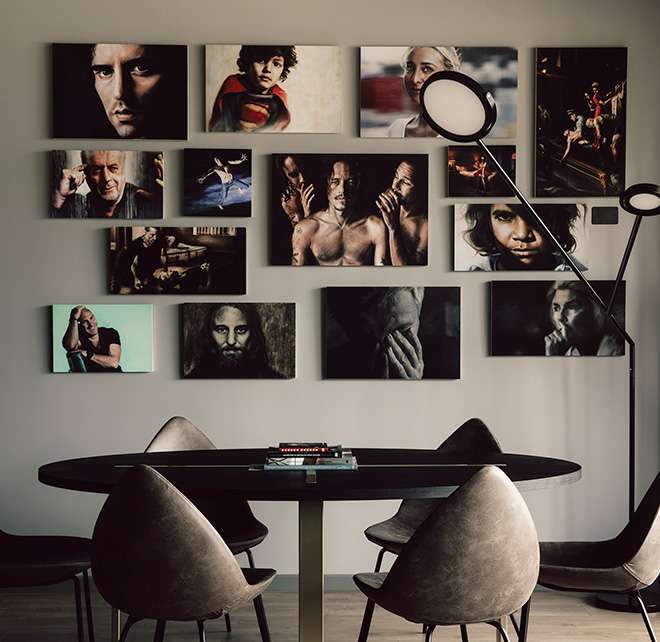 This luxury hotel features 166 suites, with custom contemporary furnishings, three original artworks and 500 giclee prints of Fantauzzo’s most recognised works. 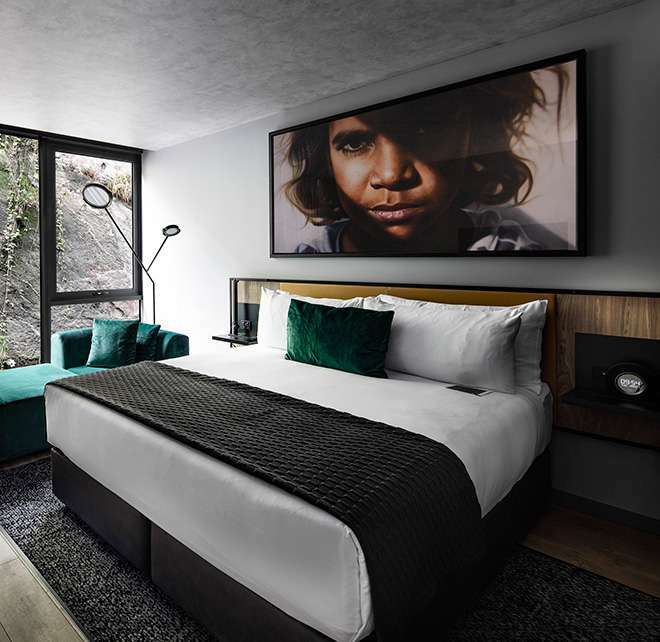 The Studio Suite is a fully furnished, open plan suite hugging the contour of the cliff, with design inspired interiors is suited for singles and couples alike. 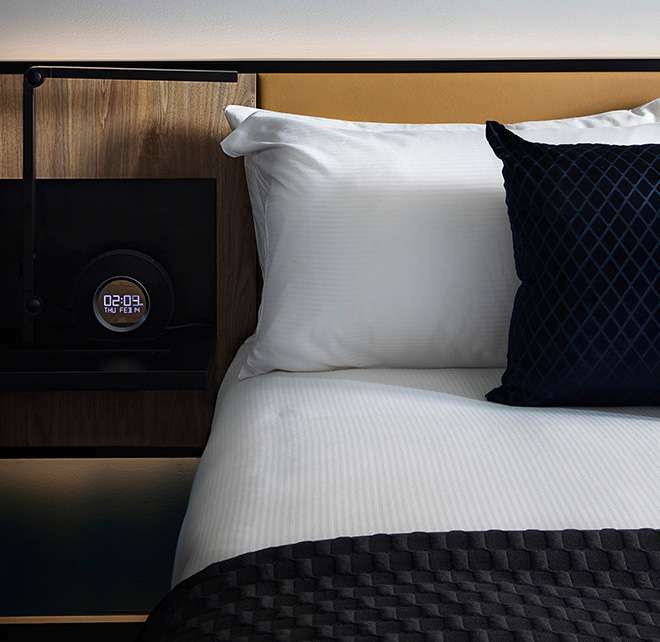 Offering stunning views across the Howard Smith Whaves and Brisbane River, the Studio Riverview room is a fully furnished open an plan suite in the heart of Brisbane. 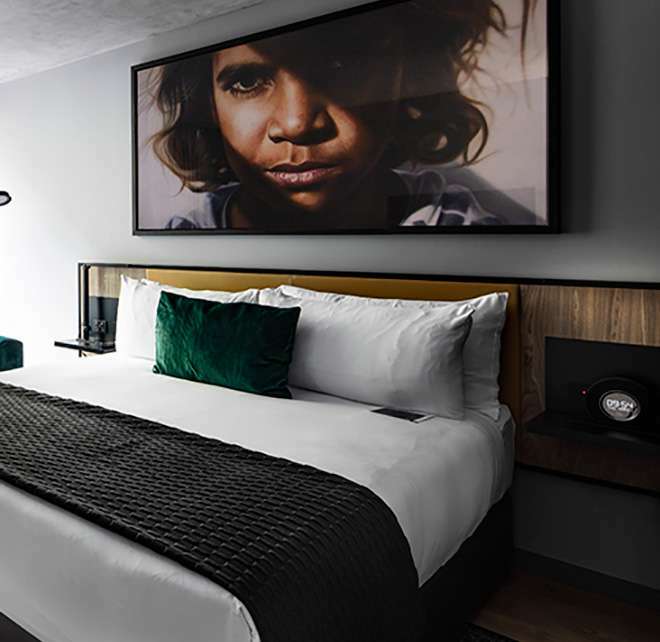 Deluxe Studio Riverview offers views across the Howard Smith Whaves and Brisbane River. 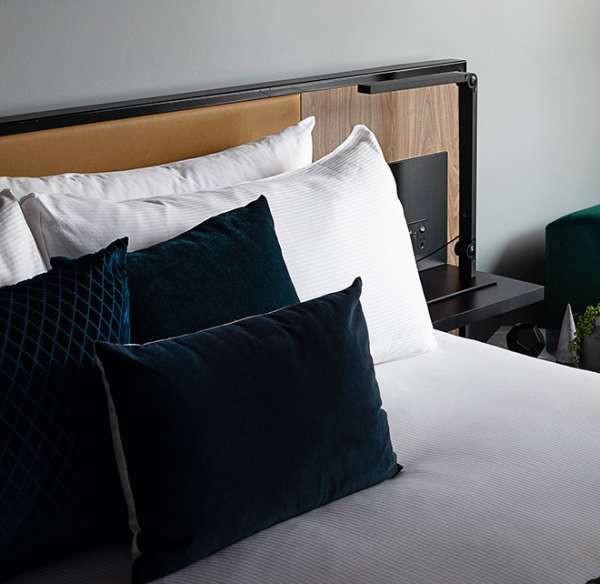 With separate lounge, dining area and balcony for entertaining, all with expansive views across the Howard Smith Wharves and Brisbane River the Fully furnished open plan suite is perfect for your next Brisbane escape. 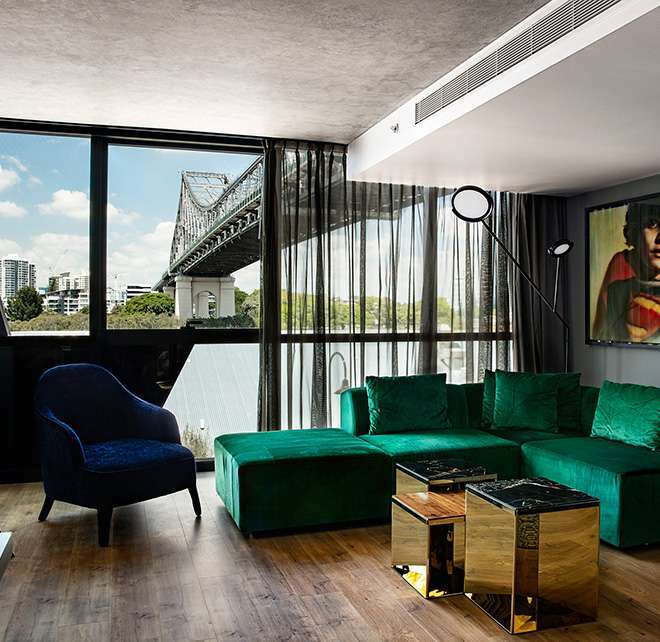 With expansive views across the Howard Smith Wharves and Brisbane River this fully furnished 2 Bedroom Riverview with separate lounge, dining area and fully equipped kitchen is and opulent home away from home. 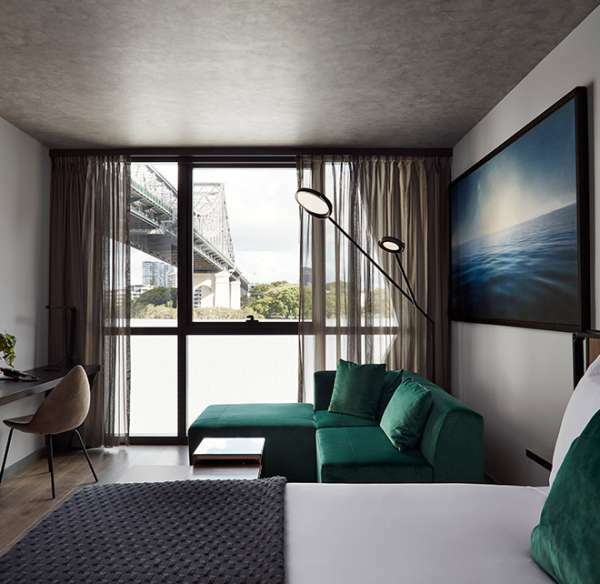 Overlooking the Howard Smith Wharves with design inspired interior suited to singles and couples alike, the fully furnished open plan suite is the perfect choice for your next Brisbane getaway. 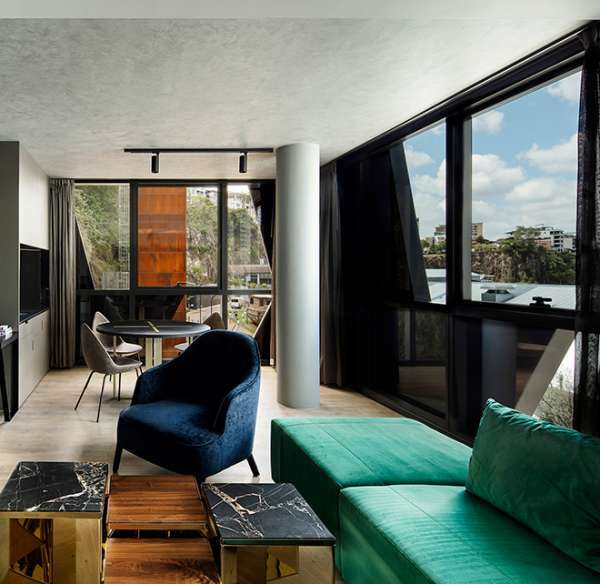 Fully furnished open plan suite overlooking the Howard Smith Wharves. Open plan suite with 2 separate sleeping areas and a lounge, ideal for 2 couples to share or families. Fully furnished open plan suite with 2 separate sleeping areas and fully equipped kitchen.